I have been to London and Bristol many times and even ventured into the countryside for days trips, but I have never really spent any time in the English countryside. On my trip to England in June I decided to change that. My first trip was touring the Cotswolds. The entire area is stunningly beautiful. Green rolling hills, quaint villages and breathtaking views are just part of the charm of this area. The best way to tour the area is by renting a car as many of the villages are difficult, if not impossible, to reach by public transit. One benefit is you increase the adventure aspect of the trip as driving on the other side of the road on narrow, twisting country roads adds a whole new challenge to your trip! It also allows you to wander around with no real plan or schedule, which I believe is the best way to really appreciate the area as there are so many great places to stumble across that may not be in the guidebook or on your map. Each day I planned to visit certain towns and then would stop along the way when I happened upon something else that looked interesting. I didn’t see everything I wanted to see but that gives me a reason to go back! I decided to stay in one of the larger towns and use it as my base for day trips to the other villages to avoid having to pack and repack my stuff each night. 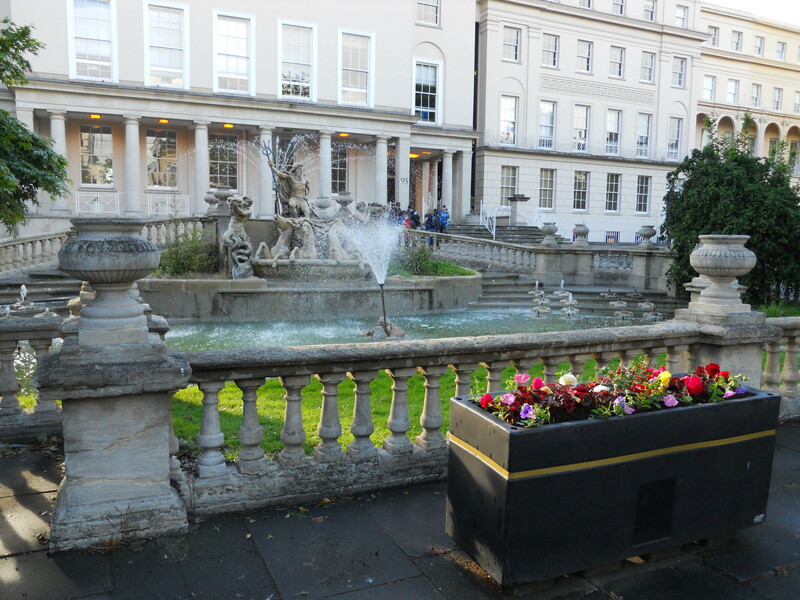 I picked Cheltenham, one of the larger towns in the area, as there were more options to choose from for accommodation and restaurants. It is a nice town with a great pedestrian-only high street. The architecture is mainly Georgian with wide streets and row houses. Similar to Bath it has mineral springs and became a spa town in the 1700s. Montpellier Walk is a highlight with statues along the storefronts, a park and Neptune’s Fountain. On my first day of touring I visited five towns (Upper/Lower Slaughter, Bourton-on-the-Water, Stow-on-the-Wold, Moreton-in-Marsh). All of them were lovely but there were a few standouts. 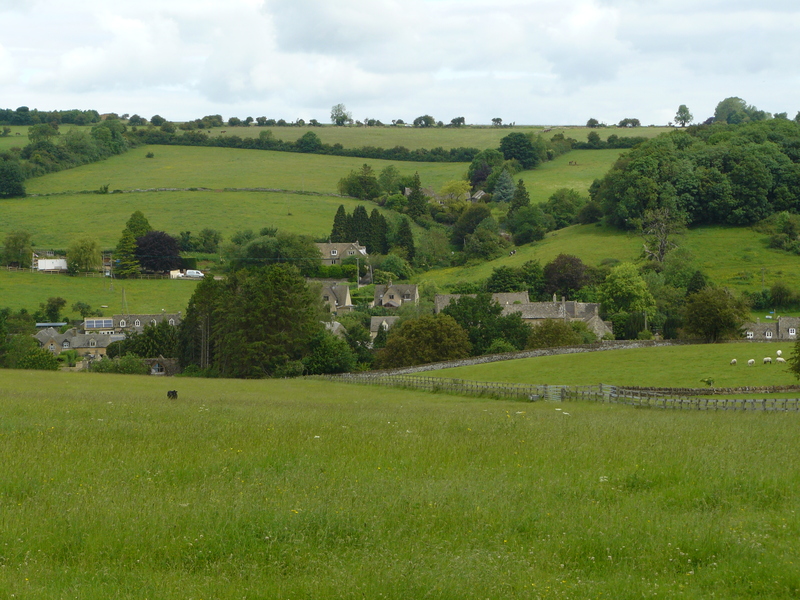 The first stop was Upper and Lower Slaughter, two of my favourite villages on my trip. These are the quintessential Cotswolds villages with golden honey coloured stone houses and views of green rolling hills. There is a short walk (20-30 minutes) along Warden’s Way between the two towns through woods with streams and fields filled with sheep. 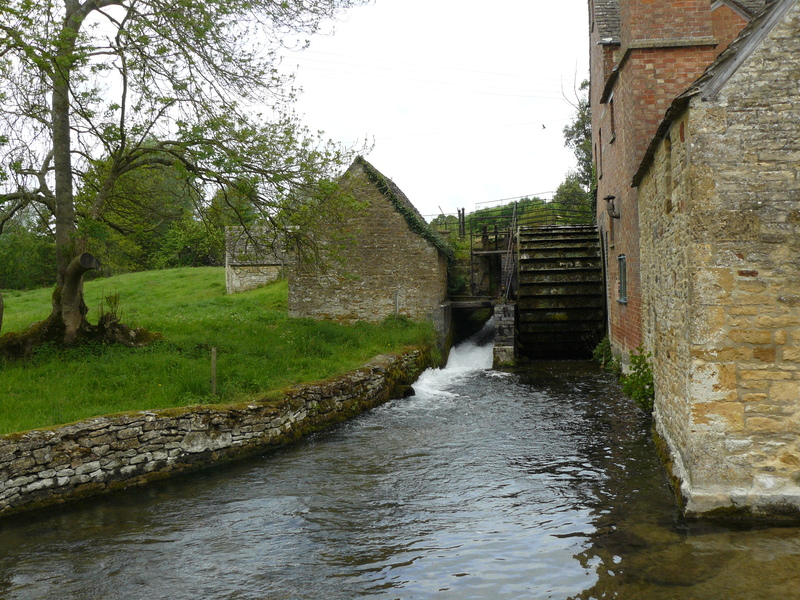 I started in the parking lot in the center of Upper Slaughter and ended beside the old mill in Lower Slaughter. The walk and the towns are amazingly beautiful. There is a nice shop full of all sorts of touristy and practical items in the old Mill in Lower Slaughter, definitely worth a visit. 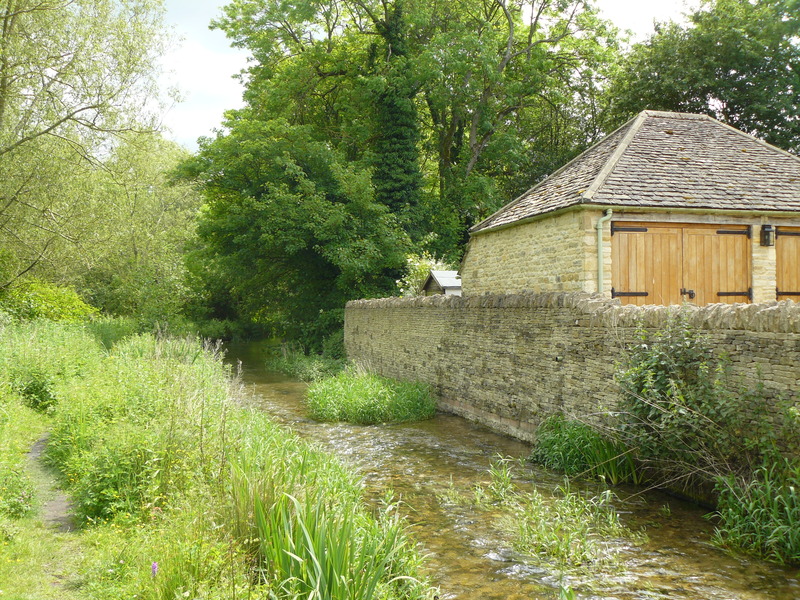 I couldn’t take enough photos of either town as they are so picturesque, especially walking along the brook in Lower Slaughter. I went in the church in each town and then just walked around enjoying the scenery. 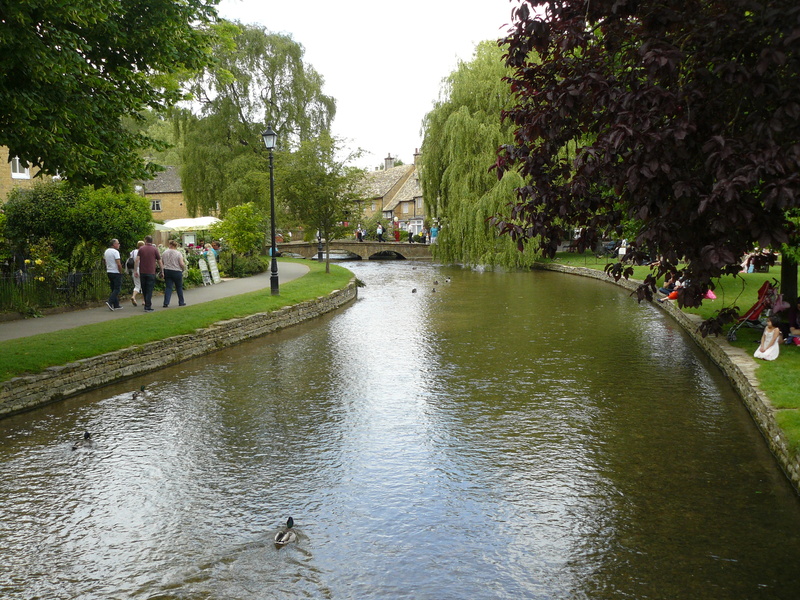 Another highlight was Bourton-on-the-Water. Such a beautiful spot. The river flows through the middle of town and there are shops and restaurants along both sides with a green space running right along the water. Although the golden honey stone buildings throughout the centre of town are now shops and restaurants rather than private homes, it does not take away from the charm of the town. I had a wonderful cream tea at Small Talk Tea Rooms (I highly recommend a stop there if you have time) and spent the rest of my time looking at shops or walking along the river. Outside Stow-on-the-Wold I stopped at Chastleton House. It is a Jacobean property built by a wealthy wool merchant in the early 1600s which contains almost 400 years worth of items and furniture that was owned by a single family until 1991. 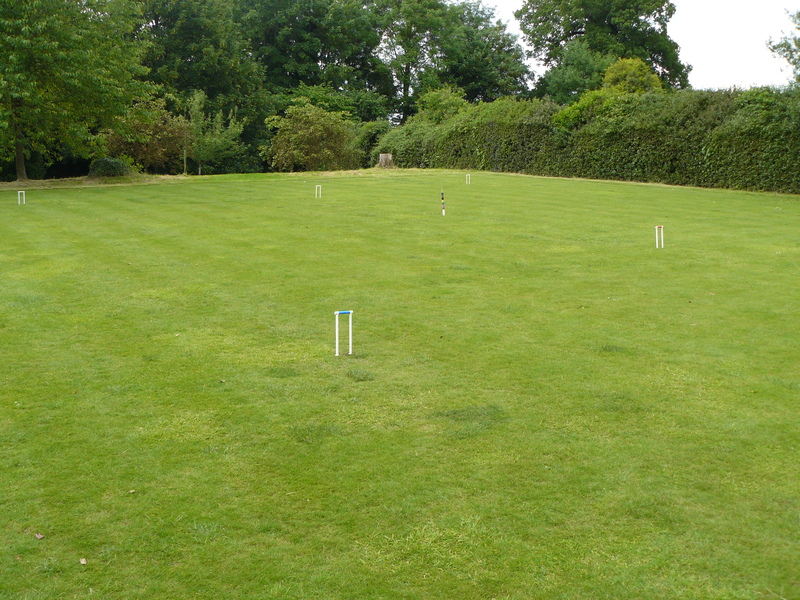 It also has the first croquet law where the rules of croquet were codified in 1865, and you can take a few shots if you wish. I had dinner back in Cheltenham at a typical British pub, the Gloucester Old Spot, on the outskirts of town. The food was delicious and the atmosphere is amazing. 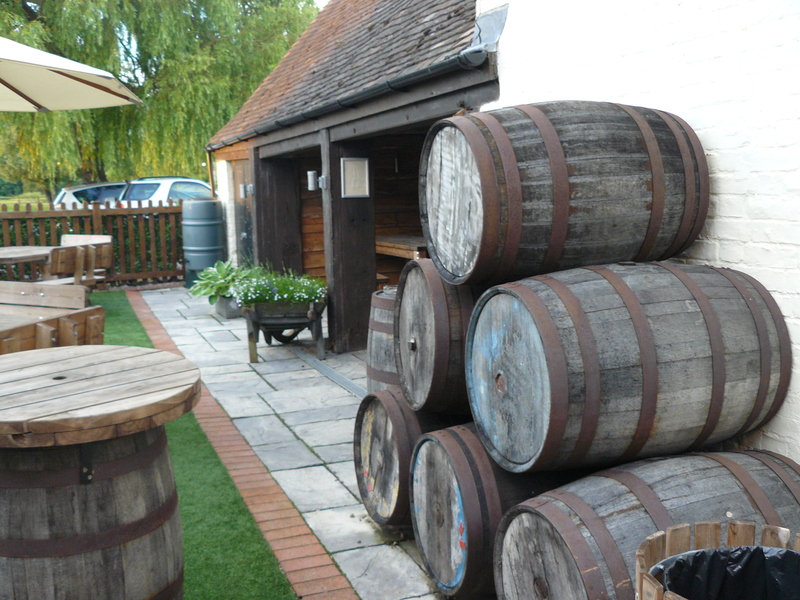 They also have a great outdoor sitting area which would be perfect for a pint on a hot day. The next day was jammed packed as well. 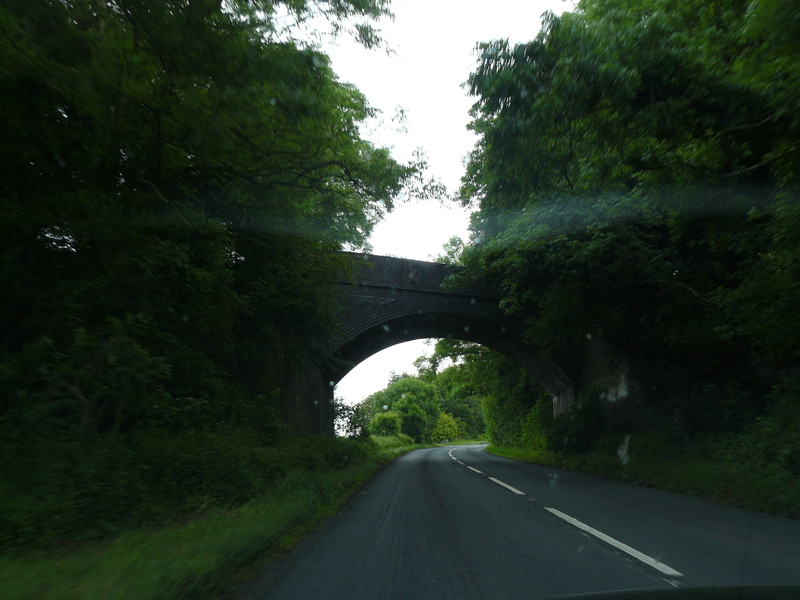 This time my focus was more on the sights to see in the area rather than the towns themselves. 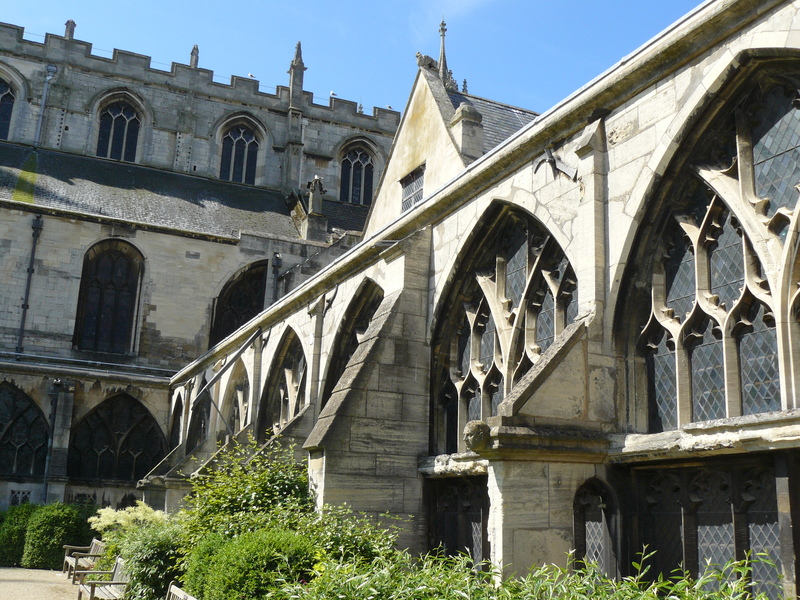 First stop was Gloucester Cathedral. It is a gorgeous Norman abbey church from 1100. The exterior is impressive, although it is hard to get it all in a picture as it is surrounded by buildings and a parking lot is along the front. The interior is equally beautiful and it takes some time to see everything. For an extra few pounds you can go up to the Whispering Gallery where a whisper spoken at one end can be heard clearly by the person standing on the other end. One of my highlights was the cloisters which were used in the filming of Harry Potter and the Philosopher’s Stone. I recommend buying the 1 pound map of the cloisters as it provides more information on the various pieces of history and movie trivia as you walk around. Next stop was Sudeley Castle near Winchcombe (a lovely town). It was the last home of Catherine Parr, sixth and last wife of Henry VIII. I highly recommend a stop here if you are in the area. The castle is amazing and the grounds are gorgeous and warrant a walk. There is also a small private church in the gardens. Part of the castle in the back is a ruin but the rest has been well maintained and is worth a look. My favourite parts were the stories of Henry the VIII’s wives, including samples of their typical dress. 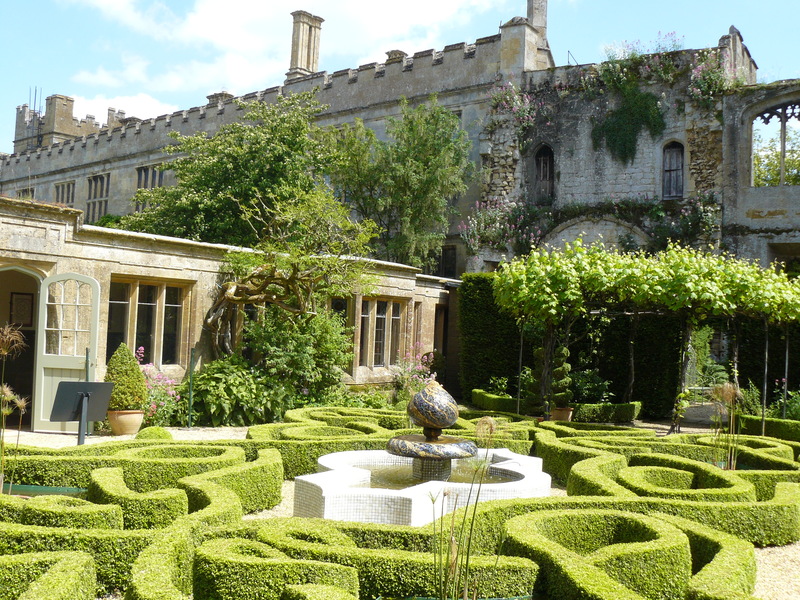 The exhibit discusses the various inhabitants of Sudeley castle and how the castle has changed through the years. I had lunch at the cafe in the castle and the food was excellent. Overall it was an impressive place and a fabulous place to spend the morning. 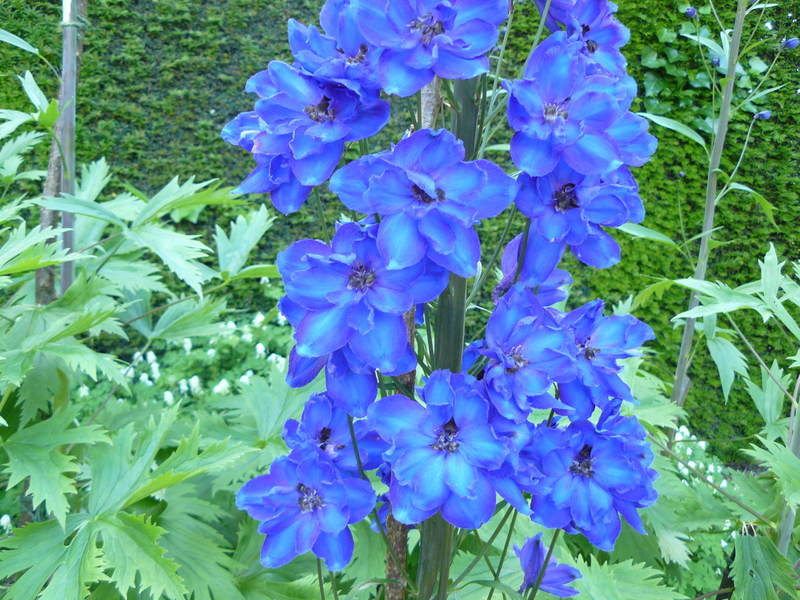 I then continued on to Chipping Camden and Hidcote Manor Garden. 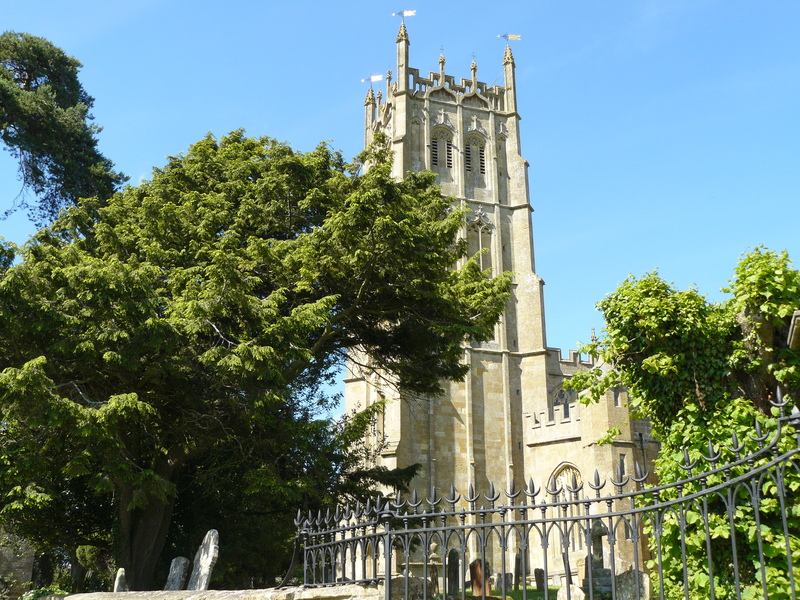 The drive to Chipping Camden is picturesque and warrants a few stops for photos. 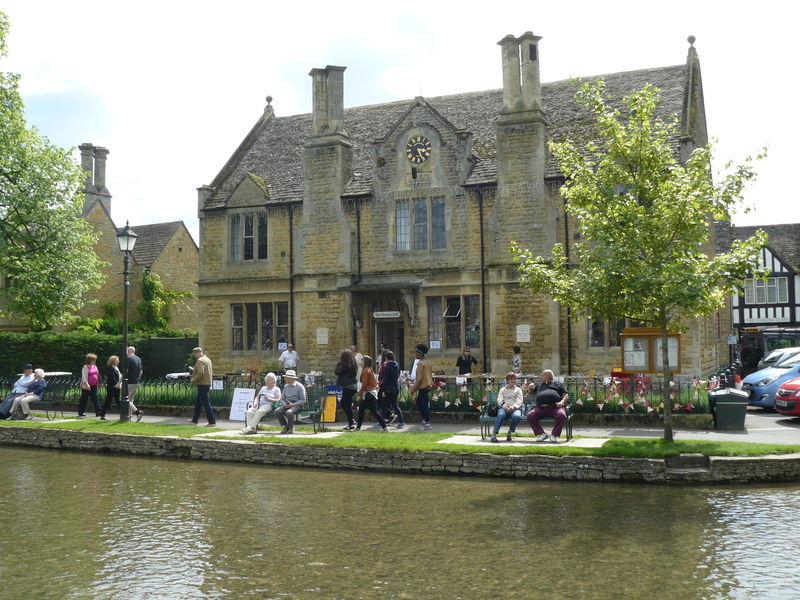 Chipping Camden is a charming village and worth a stop. I wandered up to the St. James wool church on a hill near the edge of town but unfortunately it was closed. From the outside the church is impressive and surrounded by a cemetery. 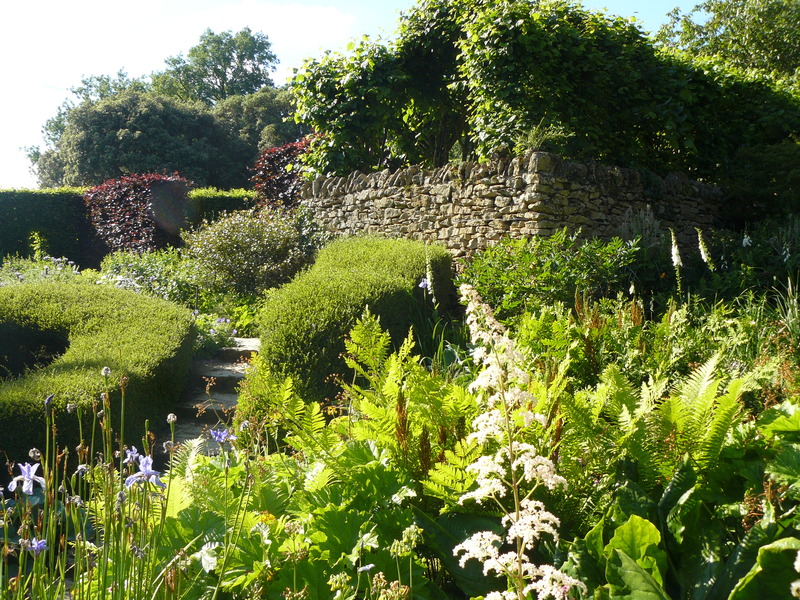 Hidcote Manor Garden was another highlight of the trip. The gardens are separated into sections, each with a unique theme. You could wander around for hours exploring each section or take some time to enjoy the peacefulness on one of the many benches scattered throughout. There is something for everyone, from flowers to shrubs to unique trees, and there are fountains and a brook flowing through as well. I finished my day with dinner in Stratford-upon-Avon. Although not technically part of the Cotswolds, it was so close to Hidcote that I couldn’t resist making a stop to Shakespeare’s birthplace. Unfortunately everything was closed when I arrived but I was still able to wander the streets and see Shakespeare’s home from outside. 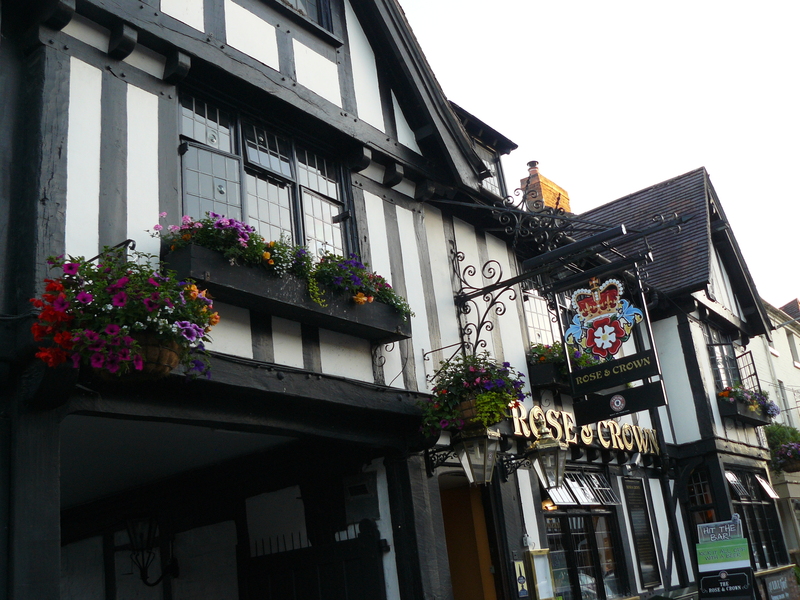 The Tudor buildings are fantastic, it is a great town to wander around for the scenery and architecture. I took a walk through town and stopped for dinner at Vintner. The restaurant has changed very little since the building was built in 1490, has great atmosphere, low wood beamed ceilings and dark wood floors, plus the food was delicious! I ended with a stroll along the Avon river. This area is on my list for a return trip when everything is open so I can do it properly. 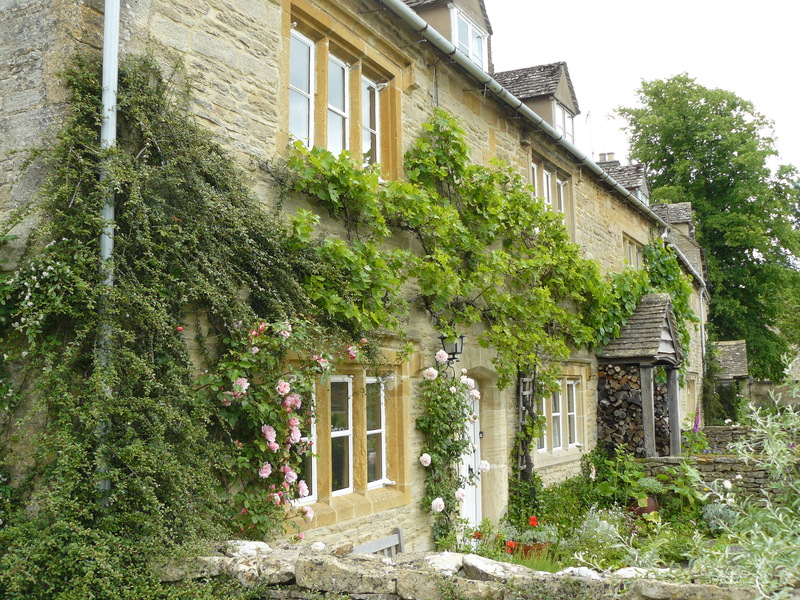 I feel like I barely scratched the surface of the Cotswolds although I did fit a lot into my 3 days there. Guess I will just have to go back!